Plans for the relocation of the St Mary's Music School and the provision of three public performance spaces were submitted to Edinburgh City Council on 9th December, and you can view them here. Presentations have also been held to the Urban Design Panel, Cockburn Association, Architectural Heritage Society, the World Heritage Committee Broughton Community Council and the Edinburgh Architectural Association. 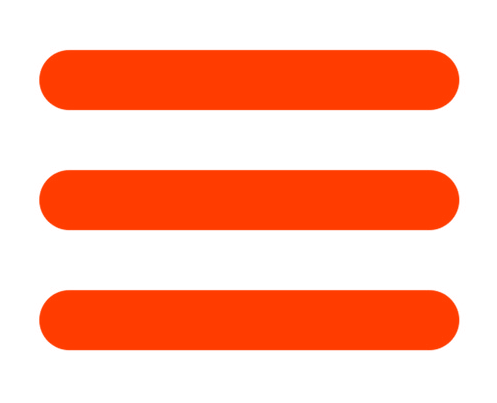 They have been universally positively received. 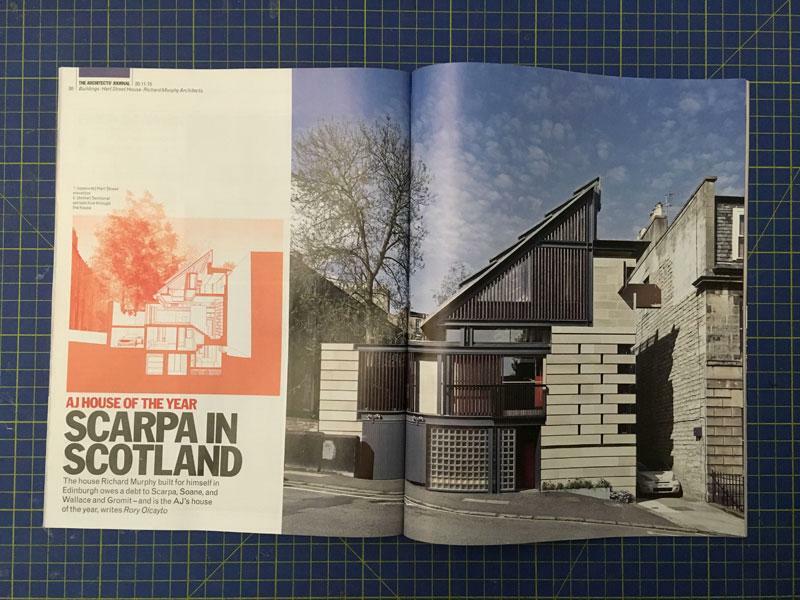 RICHARD MURPHY'S HOUSE AT HART STREET IS THE ARCHITECTS' JOURNAL "HOUSE OF THE YEAR"
We are delighted that Richard Murphy’s House at Hart Street has been named as the Architect’s Journal House of the Year 2015. Rory Olcayto, the editor of the Architects' Journal wrote in hyperbole rarely seen in an architectural journal of the new house as "a masterpiece." In an eight page article he writes of the interior: "underneath all the serious architectural intent, this home is fun, in a James Bond or Bruce Wayne manner." 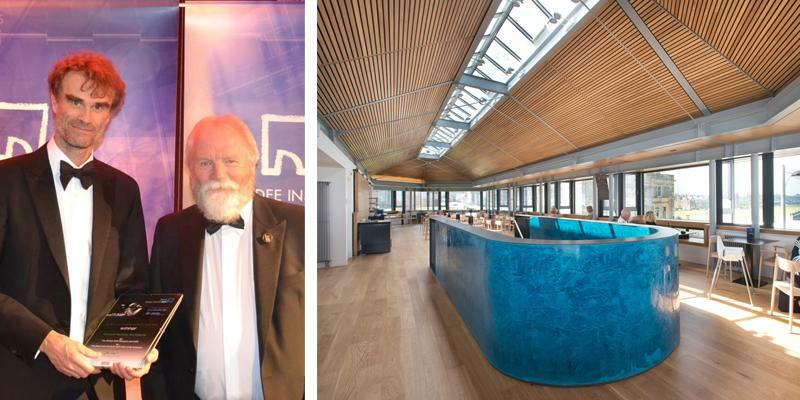 The accolade follows the Saltire Award for best new house in Scotland. It is also a Regional Finalist in The Civic Trust Awards. As part of our developing design for the CALA Homes section of the Donaldson’s project we can now reveal these indicative artist’s impressions of the spectacular living spaces created inside the new-build apartments. 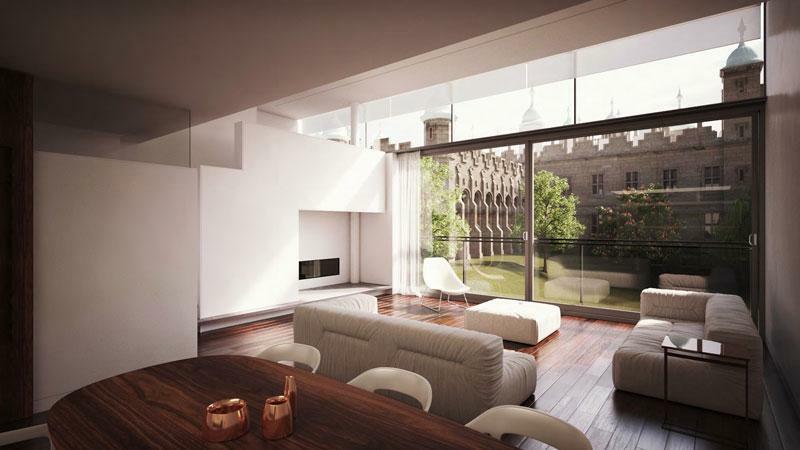 The design envisages two crescents of apartments which focus on the rear of the celebrated Playfair building. Two new web pages are in the course of preparation, one for the CALA section of the development and one for the City & Country section development within the historic building. The DIA best Commercial/Non-Domestic building award went to our recently completed café for the Royal and Ancient Golf Club. Our design placed the café on the first floor with the majority of the seats looked west towards the 1st tee and fairway. The building appears as a pavilion, and at the same time, the opportunity was taken to give the museum entrance façade more presence and visibility. Bill Black, the Project Director collected the award at the DIA Awards dinner in November. The Golf Museum and Cafe is also a Regional Finalist in The Civic Trust Awards. A recent unsuccessful competition entry for a new church in the Faroe Islands. Richard was on holiday there in March this year to see the total solar eclipse and he brought back with him this competition. The church is to be located on the suburban fringe of the islands’ capital Torshavn. It presents a turf roof elevation to the north and drystone walling to the southern entry façade. 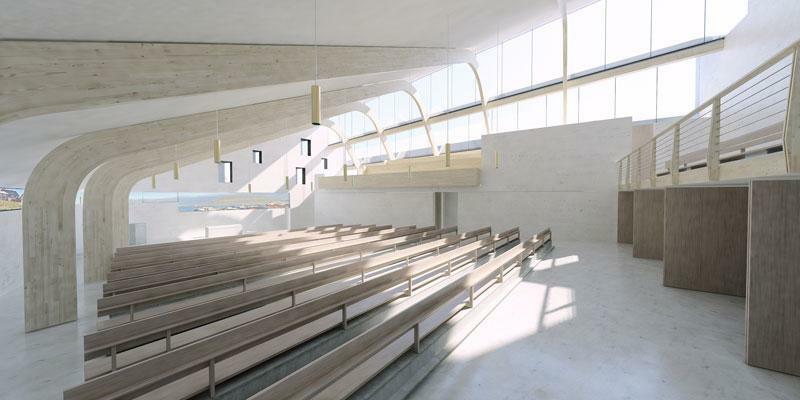 Internally there are selected views of the sea and dramatic clerestory lighting captures both low winter sun as well as summer light. The very first Maggie’s Centre, designed by the practice and located at the Western General Hospital in Edinburgh, opened in 1997 and is approaching its twentieth birthday. We first extended it in 2001 and now the charity has commissioned us to extend it for a second time. The new plan pushes the main building further west providing more space in the kitchen area and an extra consultation room on the ground floor with more administration above. In addition a major new group room has been designed as a new pavilion on the North West side of the building. To the East, a substantial amount of open space is to be re-landscaped and a new entrance made to a path, culminating in a new garden pavilion. 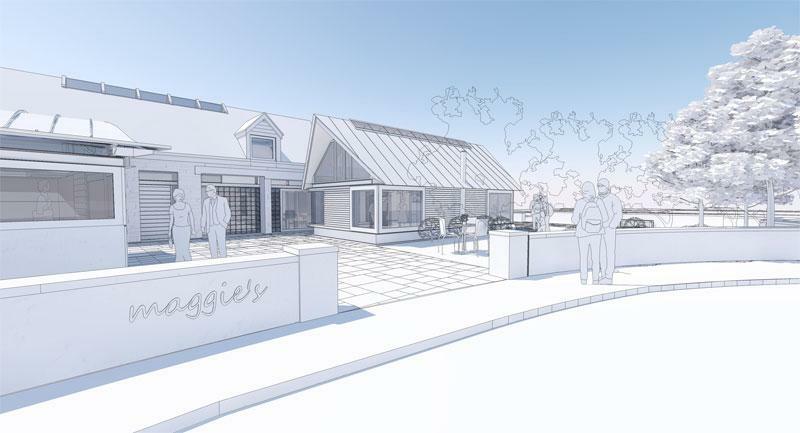 Drawings have been posted on the Maggies Centre webpage. The concrete frame of the Dunfermline Carnegie Library & Galleries is currently being poured, with the mezzanine level floor slab recently being completed. 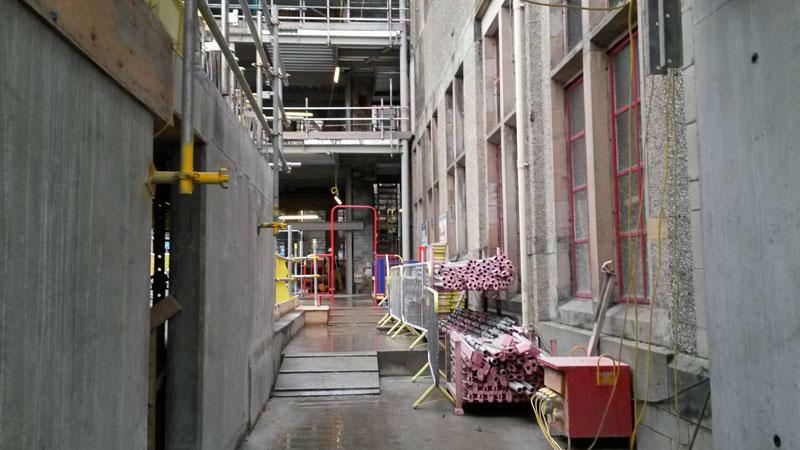 The photograph shows the proportions of the internal, day lit street taking shape, which will connect the existing library with the new museum and gallery spaces. The South Block of housing at the prestigious Caer Amon estate for AMA (New Town) Ltd (photographed on a dreich winter’s day!) 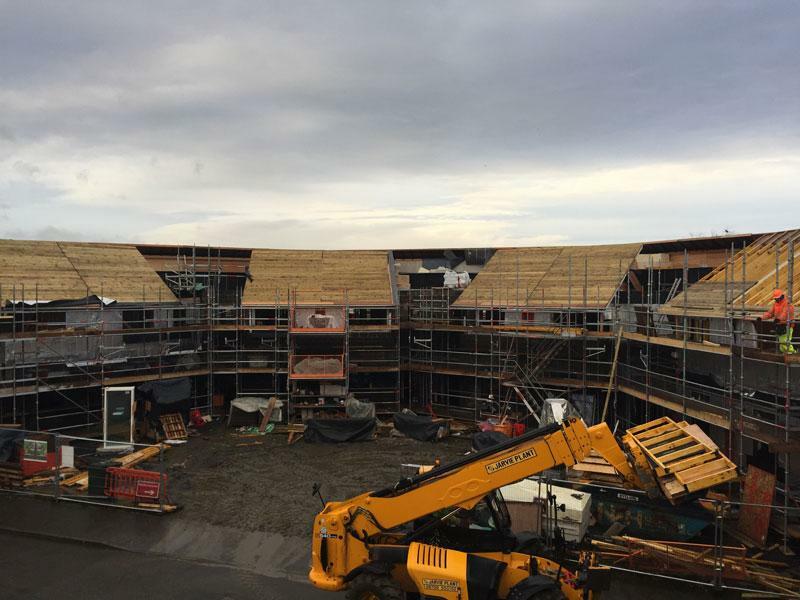 is taking shape, with external walls, roofs and finishes largely complete except for roof lights. Internal partitions have been installed, and internal linings are about to commence. James Mason lectured about the recently completed Young Street campus for Anglia Ruskin University to the Cambridge Construction Forum meeting. Richard lectured to the twentieth century society about his new house as part of a weekly series of architects talking about their own houses. Richard also presented the Royal High School project to the Edinburgh Architectural Association “Sites of National Importance” Seminar. Richard’s talk at 'Creative Mornings' is now online and can be viewed here. Richard was asked to talk on the subject of “empathy” and in particular to talk about the Maggies Centre and buildings for health generally. Richard will be giving a lecture about Carlo Scarpa to the 57°10' Architecture Society at Robert Gordon University in Aberdeen on 4th February 2016. Richard has also been invited to be a keynote speaker at the Sri Lanka National Architects' Conference on 17th February 2016. Our new project at Galeri Caernarfon was covered in the North Wales Chronicle and The Daily Post. Richard’s House at Hart Street was covered in Archdaily and the Architect's Journal. The Royal High School planning application has been covered by The Times, The Scotsman, The Herald and STV. The Architect's Journal and Urban Realm also covered the story. 100 of Scotland’s finest buildings announced by RIAS as part of the Festival of Architecture 2016, the buildings will be part of a touring exhibition and the public will be invited to vote for the nation’s overall favourite building. We are delighted to have two of our projects included: Dundee Contemporary Arts and The Fruitmarket Gallery. Richard Murphy recently recorded a video for Scotland’s National Orchestra, The RSNO about the DCA and the design process behind it. The project, Notes from Scotland is part of the Festival of Architecture 2016. You can watch the video here. 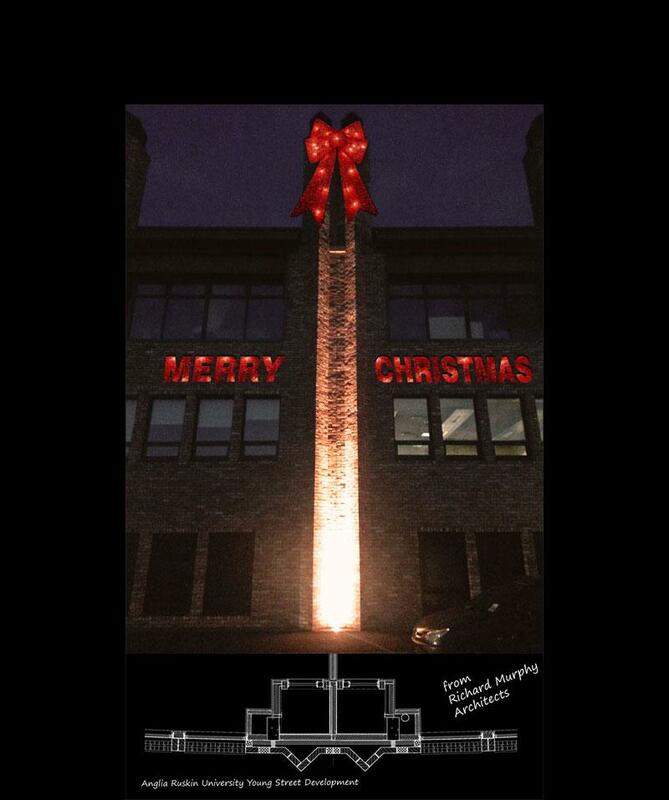 The very best for the festive season from all at Richard Murphy Architects. We don’t send out Christmas cards but donate to the Edinburgh Maggies Centre instead. You can donate here too. 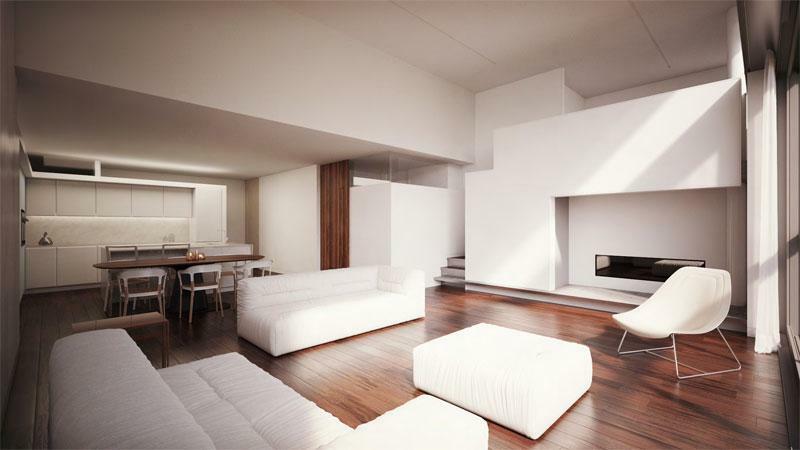 If you would like to subscribe to the Richard Murphy Architects' newsletter please click here.